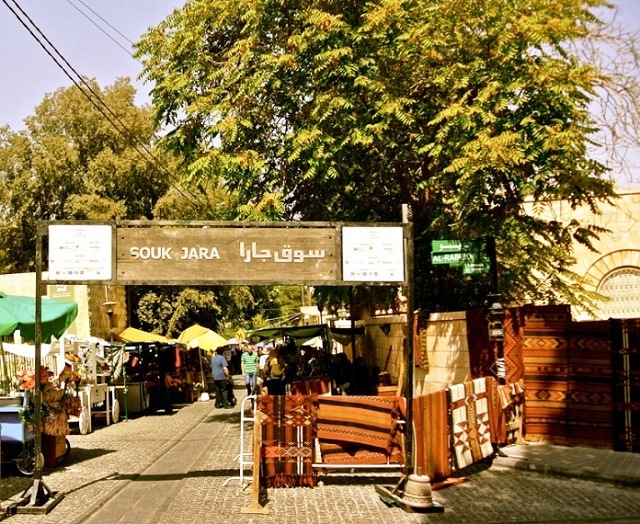 Souq JARA, also spelled Souk Jara, is among the best events the city of Amman has to offer. It takes place each year, typically when the city is experiencing the onset of spring. To find out when the souq is going to take place in the year that you do visit, look up announcements online from the Jabal Amman Residents Association, after which the market is named. This association manages and organises the souq every year, as is natural given that it takes place within their territory, in Fawzy Malouf Street on Jabal Amman. The street is now known as JARA Street, so that may be an easier way to find it if you do enter the city and want to ask for bystanders’ help in getting to the location. Just ask for JARA Street, and you should be directed to it. The souq typically takes place every Friday for the duration of the period during which the Jabal Amman Residents Association has arranged it. It can actually last for three months, which gives most travellers in the area a lot of time to visit it during their stay. Not that the souq is easy to navigate in one night, though: there are usually more than 100 booths present, with a good number of them boasting some truly interesting things on offer. This al fresco shopping market will give even the most experienced shopper a run for his or her money. There are so many things to find here, and the selection can be so varied that you can never know what to expect whenever you visit. For instance, you might find a booth where local artisans are selling fine handicraft products like hand-woven or hand-carved bowls, mats, and the like. On the other hand, the merchant next to that booth might have set out such oddities as old typewriters (one nearly a century old) and telephone sets of the old two-piece type. The food booths are set in one distinct area, though, so you can safely expect to find them all clustered together, for convenience. Note that there are also usually some NGO-run booths here that you might be interested in buying from if you want to support a certain charity or cause. Art booths are popular as well. Souq JARA offers more than booths for consumers, though. Ghrayeb Garden nearby hosts musicians and performance groups, and there are usually some troupes or music players in the souq itself. It is worth noting that the profit margins of merchants participating in Souq JARA are said to go up and down, by their own assessments, but they still insist on exhibiting their wares in the event. The reason, of course, is that during times of lower profits-times of financial troubles in the kingdom-the possibility of gaining new customers is still an advantageous and potentially profitable one. Hence, even during times of monetary issues in Jordan, you are likely to still see a Souq JARA in the capital, as a display area where merchants may attempt to expand their clientele.